One Piece World Seeker is a game unlike anything the series has seen before, dropping Luffy into the middle of Jail Island, an open world environment that players can explore using his Gum Gum abilities. As you might expect from someone who has rubber limbs, Luffy has a wealth of traversal abilities to use. 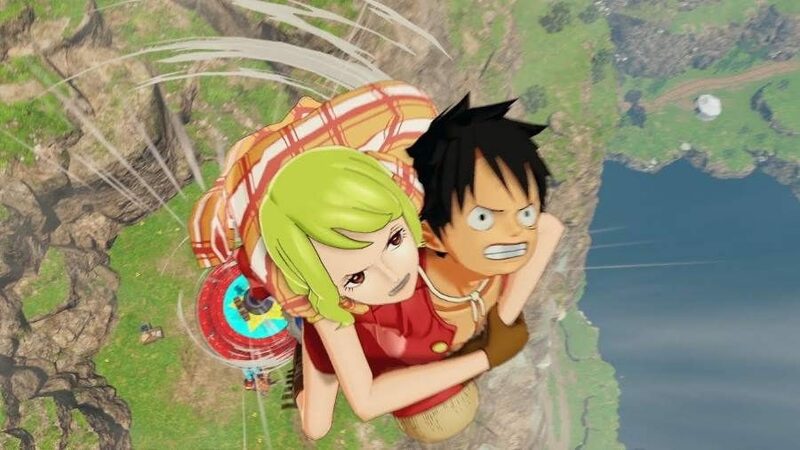 Here’s how to fly in One Piece World Seeker. Flying in One Piece World Seeker isn’t what you really think from the world, it’s more of gliding, or “falling with style” in the words of Buzz Lightyear. The first thing you’ll want to do is unlock the Gum Gum Rocket ability, which is found under the Explore section of your Skills menu and costs 200 Skill Points. This ability will allow you to hold R1 (RB) when you grapple to a point and propel Luffy through the air at high speed, covering a ton of distance. It’s a fantastic move for getting around Jail Island quickly. While you won’t be able to maintain flight, there are ways to increase the distance Luffy launches with Gum Gum Rockets, as well as how far you can glide. The skill just to the left of Gum Gum Rocket is “Gum Gum Rocket Flight Increase” and for 300 SP you can increase the length of your flight. Also found in the Explore section you can unlock Gum Gum UFO for 200 SP, which lets you repeatedly press X (A) when Luffy is in the air to have him hover. Just like with Rocket, the next ability for 300 SP lets you extend the amount of time that Gum Gum UFO can be used. That’s everything you need to know about how to fly in One Piece World Seeker. For even more tips, tricks, and guides make sure to search Twinfinite, and take a look at our One Piece World Seeker wiki.